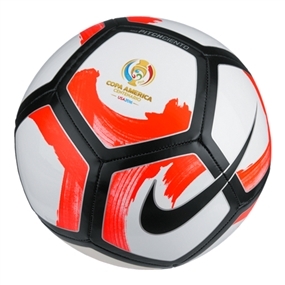 The eye-catching Nike Pitch Ciento Football is designed to bring great visual acuity and touch to the pitch. It features a compressed layer that's built to enhance ball reaction at the launch. Nike Aerowtrac grooves and textured surface deliver accurate flight. Graphic design aids peripheral and central vision. Nike RaDaR technology helps you track the ball to react faster. 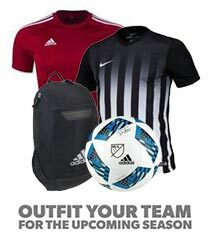 If you are looking for a little more performance, go to the Nike Strike EPL soccer ball. For the Ultimate in play, check out the Nike Ordem III, the official ball of the EPL. 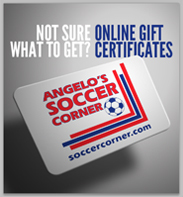 Get all your soccer ball needs at SoccerCorner.com!